Yesterday, I experienced human nature at its best — and worst. During afternoon surgery, a message came through from reception: A rabbit was on the way in as an emergency. The rabbit was in a bad way, having seizures. 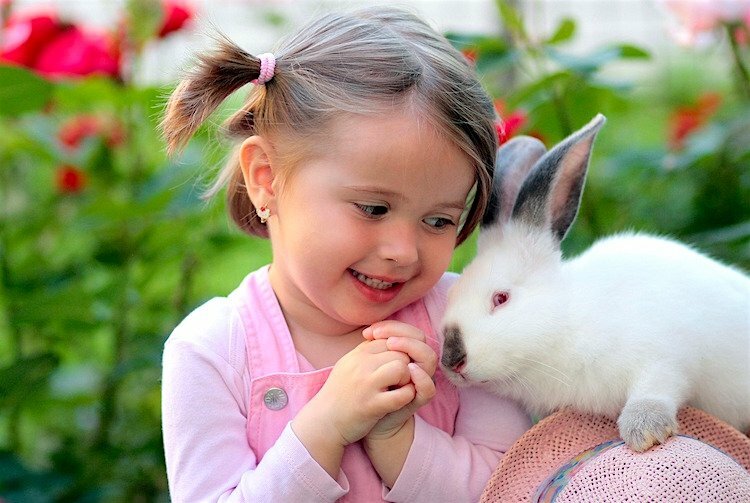 Flushed and tearful, the girl cradled the sick rabbit. He was indeed very ill and only semi-conscious. He had a thick white discharge from his nose, was struggling to breathe and was very thin. 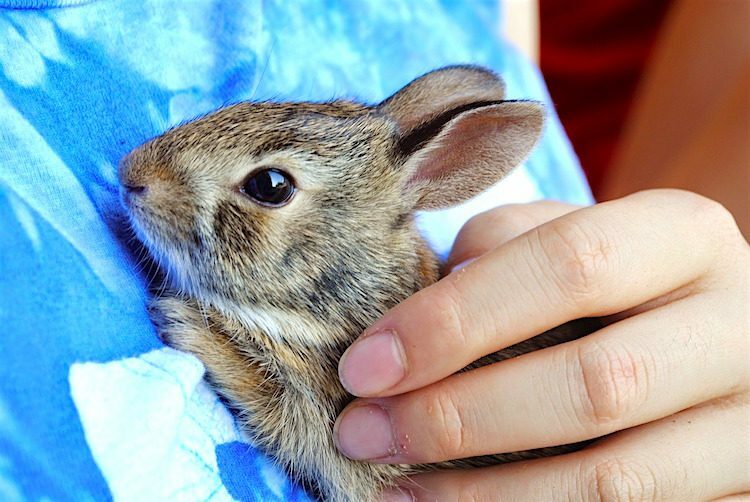 It turned out his young friend was a dedicated nurse to this rabbit: syringe-feeding with moistened kibble, cleaning his nose and keeping him warm. I suspected a bacterial infection, common in rabbits, called Pasteurella. What the rabbit needed was veterinary attention and antibiotics, but the girl’s parents had refused to help. Sadly, it was too late to do anything but save the rabbit further suffering. He had an advanced infection with secondary pneumonia. This poor bunny was past the point of no return, and the kindest thing was to end his suffering. His dedicated young friend took the news well and was incredibly brave. She cried, but out of relief that he was now at peace. Then she got back on her bike to cycle home. Alone. This is supposed to be a health article rather than a rant about poor parenting … so here’s the health info bit. Pasteurella is very common in rabbits. It’s a bacteria that many kits pick up from their mother at birth. It’s one of those things that can live peaceably with the rabbit. When the host rabbit has a strong immune system, the Pasteurella doesn’t make them sick. But if the rabbit’s immune defenses are weakened, Pasteurella takes advantage. Like an unwelcome houseguest, the bacteria does its own thing, generally making itself at home in the nose, sinuses and ears, or even joints and skin. In a vicious circle, this further weakens the immune system and secondary problems, such as pneumonia or meningitis, set in. The resulting infection, if running unchecked, can spread through all the body systems and eventually cause death. One of the commonest signs of Pasteurella is the snuffles. Pasteurella’s preferred site is the nose and nasal sinuses, resulting in sneezing and white discharge from the nose. A snotty nose might not sound like much, but it is to a rabbit. This is because they are “obligate nasal breathers,” meaning they can only breath through their nose and not their mouth. Think of the last time you had a cold with a bunged-up nose. How unpleasant was that? And we’re able to breathe through our mouths. Think of having that same cold but with your mouth taped closed. Not nice — not nice at all. Pasteurella is a bacteria, so antibiotics can help. But this isn’t always straightforward because antibiotics and rabbits don’t mix well (they easily get upset tummies). Plus, it can be difficult to totally get rid of the Pasteurella. Sometimes a long course of antibiotics, 4–6 weeks, is needed. Even then, the symptoms may come back when treatment stops. This is because the immune system needs to pull its weight and fight back. If it doesn’t do this, then the rabbit will suffer long-term infection. Stress weakens the immune system. Sadly, it doesn’t take much to stress a rabbit. Things like seeing a cat, hearing a dog or moving house are all causes of stress in a rabbit’s world. It’s important to do everything possible to create a stress-free environment. This means providing a clean, living space with plenty of hiding places, along with mental stimulation (boredom is stressful!). Also, provide an appropriate diet of good quality hay or fresh grass, supplemented with fresh fruit and veg, and some pellets. Nursing is also crucial. That dirty nose needs constant cleaning to help the rabbit breathe. They won’t eat much because they’re struggling to breathe, so syringe-feeding liquids is essential. Without it, the gut can go to sleep, which is a serious complication in itself. It’s also a good idea to separate sick rabbits. Not only is the ill bunny a risk to the others, but also they may be bullied if others sense weakness. Bullying is stressful and makes things worse. 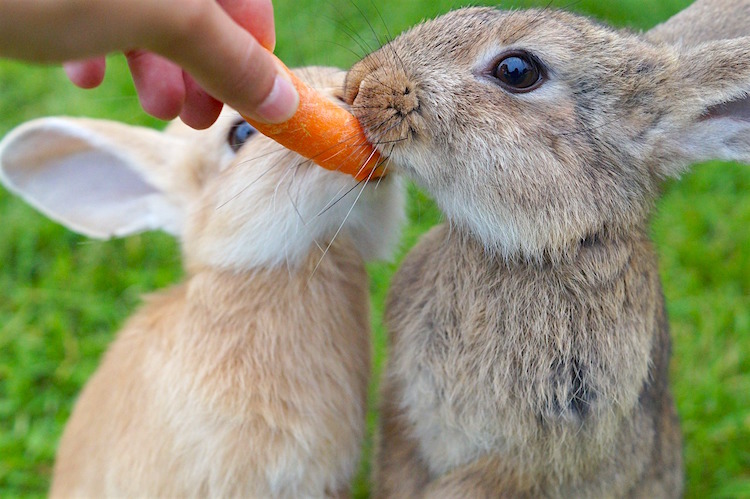 When caught early and given appropriate care, many rabbits do OK. However, it’s a sad fact that often the infection is far progressed by the time they make it to the vet. They then need long courses of treatment and may not do so well. It’s likely I couldn’t have saved the rabbit yesterday, but the girl’s parents should have been there to support her. Instead of the vet’s arm around her, it should have been a mother’s or a father’s. But my bruised faith in human nature was soothed a short time later. The girl had been gone around 10 minutes when her neighbor turned up. He’d seen her set off on the outward journey and thought it odd. He’d spoken to the parents, pieced together the sad story and come in search to try and help. He arrived too late, but at least someone cared enough to understand she shouldn’t have had to face the loss of a beloved pet alone. This pet health content was written by a veterinarian, Dr. Pippa Elliott, BVMS, MRCVS. It was last reviewed July 27, 2018.